Admittedly, this title is a bit misleading. The truth is I still struggle with meditation. It's hard for someone like me-usually doing five things simultaneously at the same time- to sit down and breathe for 15 minutes. That sounds pathetic I know. But it's the truth. Even I have to admit that after committing myself to this exercise each day I can already feel the difference in my life and more importantly in my sleep. I'm no expert- no frickin' way- but I thought I'd tell you how this thing called meditation has helped me so maybe it can help you. I've committed to wake up early, between 6-6:30 am, heat up the water for my tea and then sit up in bed and meditate. I get up to make my tea so that I'm not just sitting up in bed and going back to sleep. Just the simple fact that I'm waking earlier helps me sleep better at night because-duh- I'm more tired at the end of the day. God Molly, it's so simple. Except, it's not. When I say sleep better at night, I am NOT saying I sleep like a normal person. The biggest side effect, if that's the right word, of bipolar 2 (for me) is sleep and mania. I basically haven't slept well for six maybe seven, maybe eight years. At 3 pm, I'm tired from the day, at 8:30 pm I'm like, "yeah I got this", and at 10 pm my mind and body says "let's party! let's think!-let's talk to our husband who literally hits the pillow and is breathing slow and steady and out". It is so annoying. I am so jealous. Turns out that is one of the boxes that have to be checked off in order to get your diagnosis, along with a bunch of other stuff. See this checklist I've laid out here on my resources page. The caveate to this is you can't sleep at night AND you're wired during the day. And you know what that does over the long run? Yep, another study. Alzheimer's. Ugh, I am so f*cked. Moving on. For years I secretly used everything over the counter- Nyquil, Benadryl, Unisom. Even worse, I sometimes felt better about my addiction if I got a cold that I could enjoy a double dose of Nyquil and zone out for ten hours. Bliss. Don't judge me, I'm already judging myself don't worry. I basically just drugged the sh*t out of myself in a desperation to sleep. I then read a study on the link between dementia and OTC nighttime meds. AGGGGGGGGGHHHHHHHHH! So I got up the courage to try marijuana something I had never ever tried before 38. More on that soon. I've got several stories. 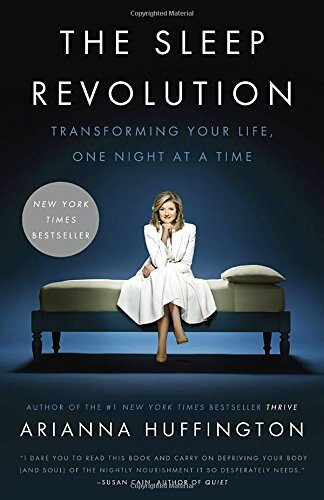 Then I listened to several books, including Arianna Huffington's book THE SLEEP REVOLUTION. I used this book to get inspired to take action into my own hands. Sort of. I've implemented a number of things from her book but not all. - the first being getting my television out of my room. I felt like a superstar for doing this. Baby steps people. Here are the links in case you're interested. 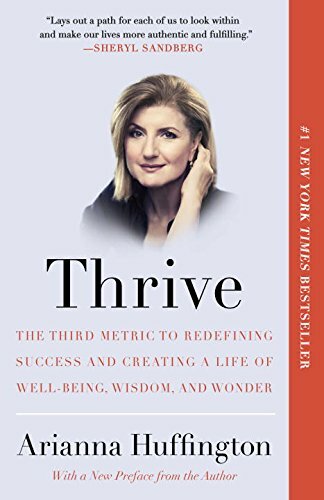 I've included Thrive-one of my very favorites if you're looking for a little extra inspiration. So although I am treated for the bipolar 2 with a mood stabilizer, I still need a sleep aid, currently Ambien, to sleep. I know I know- long term affects, but feel better because it's under the care of a physician. Plus my doctor explained to me that not sleeping for years and years could cause great harm to me in the future...um, great. That doesn't exactly make me feel better. You know what does make me feel better? Sleeping. The goal to figure out the right dosage of medication to keep my swings under control and that right dosage should help me sleep. I was on various trials of anti-psychotics (sounds so dramatic I know) but they made my platelets fall significantly and that ain't good. They did help me sleep however, an indication that in fact I am in fact crazy, I mean bipolar, something my psychiatrist and primary care doc have explained to me. Anyway, after finding the right dose of a daily mood stabilizer I'll be taken off the sleep meds. I'm A LOT nervous about that- but I know that I can't stay on that stuff forever. The great news is it's currently a low dose of ambien, 5 mg rather than than 10, and okay okay maybe in the past I've double dosed at 20 mg when I could convince my doctor that I was freaking out after not sleeping five nights in a row. I believe the meditation is helping me keep it at a lower dose. Another side note- When I first starting meditating in the height of my mental and physical breakdown this past year, I experienced what I can only call a static buzzing of my brain wires crossing. Let's call it brain buzz. I made that up because I love the alliteration. I didn't know what it was, still don't-haven't researched it yet. I did know that my brain buzz started to get better when I was consistent with my meditation both in the morning and the night. Then I would get busy, stop meditating, pick it up a week later and the wire crossing and bzzzzzzzzz would start happening again. I'm getting off-topic, that's a whole post in itself. Coming soon- My new self help book about brain buzz. I'm joking, I hope you got that. These days if I wake at 2 am, then 4 am I am less likely to panic. Also, because meditation has helped me to be more focused during the day I get more done, am more disciplined in my efforts and therefore worry less about work, money, kids, whatever the soup du jour, or should I say soup du nuit- that's French for night if you don't get it. I had to look it up and I've had five years of french so who's the dumb one here? I can directly attribute starting the day off right through meditation and it will result in me not having flight mind (one thought after another) at night. Through practice I am learning to control my thoughts. It's slow going, but it's steady and I can only hope that with practice this will allow me more influence over time. So, I'll begin to wrap this up now. I recommend reading Ariana's book. 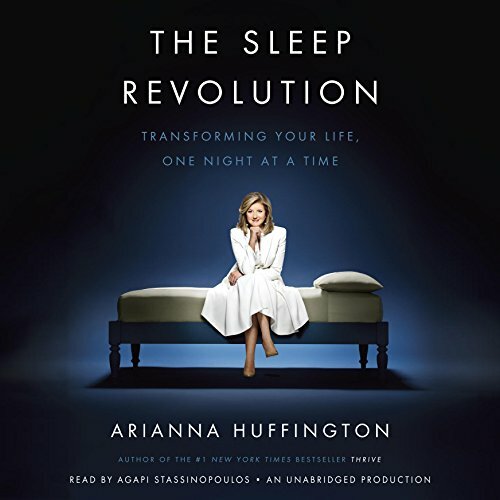 It helped me understand our relationship with sleep, the history of sleep, and gave me that swift punch in the gut to make the hard decisions necessary (getting rid of my television in my room was a big one for me) to get better sleep even though I can't quite do it on my own yet. As I said, baby steps. I also recommend a few other tools that helped me along the way. Headspace is an app that guides you along the way. Andy Puddicombe, a former Buddhist monk with a degree in Circus Arts (random I know) who basically put on hip clothes to make meditation cool has a great soothing voice and South African accent. You have to pay for it, but I have found that if I pay for something I am way way way more likely to commit. Dan Harris (ABC news anchor) wrote 10% Happier about his struggle with addiction and an on air meltdown, and how he uses common sense approaches to meditation. I recommend listening. He tells his story in his own voice. It really helped me understand that there is no wrong way to meditate. Do what's right for you and it'll come naturally. Happy meditating and most of all happy sleeping! If you have any suggestions for me, I'll take those in the comment section. Also, let me know how you're doing and if I can help. I can't guarantee anything but I'm a good listener. Not really. I actually talk to much. The above links are affiliate links. It means if you click through from my website I get a little kick-back without costing you a thing. It's a win win right? A girls gotta make a living-well I do anyhow. Thanks for your support as always!